Trusted Health Products has sold over half a million bottles of OraMD in the last 12 years. OraMD is also beginning to be offered in holistic dental offices throughout the country. My first impressions of the product were good. The toothpaste/mouthwash comes in a small dark bottle that takes up less room than a regular tube of toothpaste (and definitely less room than toothpaste plus a bottle of mouthwash!). 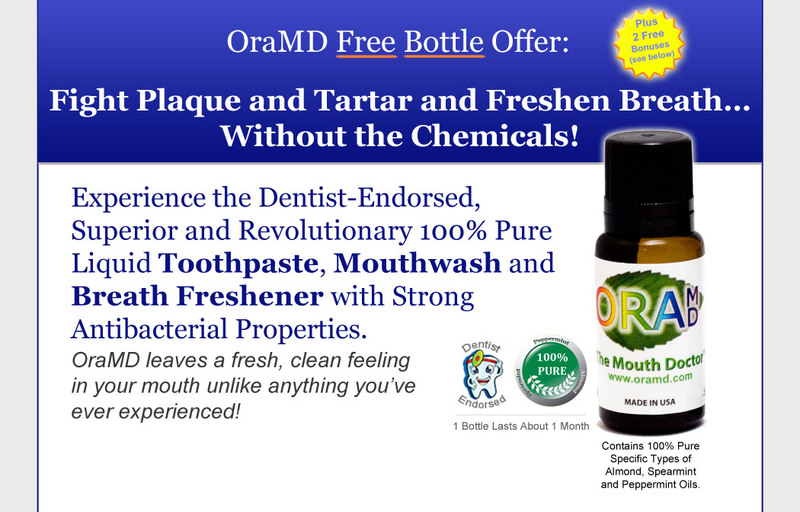 OraMD can be used as a toothpaste, mouthwash, and breath freshener, which is a great way to keep your house from getting overrun with products. I also think it's great that the ingredients in OraMD are simple and recognizable: 100% pure peppermint, spearmint and almond oil! 1. To use as a mouthwash, you put 2-5 drops of OraMD into an ounce of water, then swish and gargle the solution throughout the mouth to kill bacteria in the entire mouth. 2. To use as a breath freshener, put 1-3 drops of OraMD on the tip of the tongue. 3. To use as a toothpaste, brush twice a day with 2-5 drops of OraMD on your toothbrush. The instructions also noted that "OraMD is strong the first several times you use it, this is the product working and this will subside." Even after reading that, I was honestly not prepared for how strong OraMD actually was. It was intensely minty, nutty, and bitter to me the first time I tried it. I did not like it that first time because of the taste, although my teeth did feel clean afterward. The aftertaste of OraMD was minty and okay. It was not as potent. The next night I had to steel myself to use OraMD again, but I knew that the instructions had warned me that it would taste "strong" and that I would probably have to push through an adjustment period. It DID taste better the second night and got more and more neutral tasting as the days went by. It never tasted delightful, but I did eventually like the aftertaste. My teeth felt clean and my breath smelled good. I knew that OraMD was working and taking good care of my teeth. Overall, I'm very happy to know that there is a safe and natural toothpaste option out there. 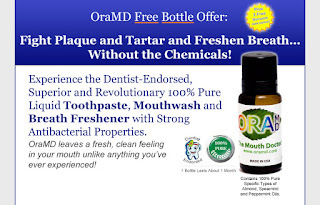 I did not like the taste very much but the taste does get better over time and my teeth felt clean while using OraMD. It is truly fantastic that everyone can try out OraMD for free by only paying shipping, which is a great deal. Please also check out OraMD on their Facebook page!